It came as a surprise to many, not least the Nintendo Life team, when earlier this year Tom Bramwell announced that he would be leaving Eurogamer.net at the end of November, after 15 years with the company. If you are a reader of Eurogamer (we know 1 in 5 of you are) then Bramwell needs no introduction, for those that don't he has been with Eurogamer almost from its inception, serving as deputy editor for eight years before moving up to the editor-in-chief role for the last seven. What you might not know is that Tom has been a hugely inspirational figure for me personally, especially around the time Nintendo Life was first created nearly 10 years ago; I used to visit Eurogamer.net all the time to read Tom's reviews and aspire to have a site as good as them, one day. Therefore years later it was an easy decision for Nintendo Life to partner with Eurogamer, as part of Gamer Network, and be lucky enough to sit and talk through ideas with Tom and get his invaluable feedback. If you can remember, how did you first get into games writing and what lead you to do so? 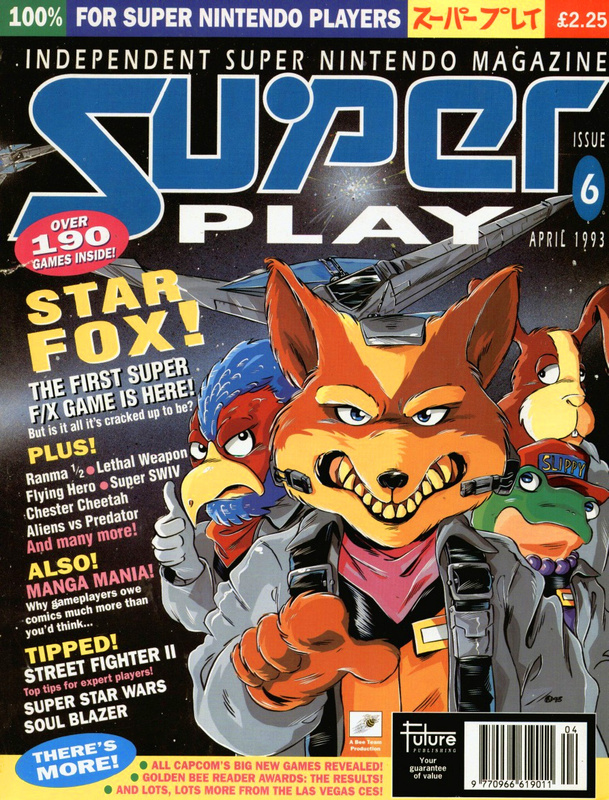 Funnily enough, it was Future Publishing's wonderful SNES magazine Super Play that inspired me to become a games journalist. I didn't have a subscription, so instead I would race to the newsagents on the day it came out every month and scan the gaming mags for Wil Overton's telltale cover artwork. 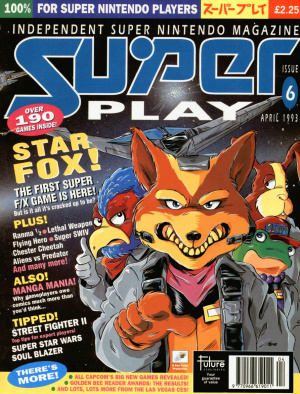 Super Play had a particular fascination for Japanese games, and RPGs in particular, which gave the mag more of a personality than some of its rivals, and I loved reading what people like Zy Nicholson and Tony Mott thought about the latest releases, even though I barely had enough money to buy more than a couple a year. In fact, let's be honest - I spent all my pocket money on rubbish and had to rely on birthdays and Christmas. Even at a young age, I knew games were special and that I wanted to be one of these mythical figures who got to explain what made them wonderful. Fortunately I became obsessed with PCs at just the right time, in the early days of the internet, and my enthusiasm for writing and (terrible) web design helped me get a job maintaining fan sites for GameSpy. There I met John Bye, who became Eurogamer's founding editor, and shortly after he set up the site we spoke and he asked if I wanted to help him out. What is your earliest memory of Nintendo? Gosh. I guess it would be playing Mario Bros. 3 and Nintendo World Cup on my friend Dan Hockley's NES whenever I went round there. My friendship with Dan was definitely what made me want a Super Nintendo when my parents finally agreed I could get a console. My earliest memory of Nintendo at home was playing Super Mario All-Stars on my little CRT TV in the corner of my bedroom, staring at the world map in Mario Bros. 3 and trying to imagine what lay behind every square. "I work with my friends, so I will enjoy not being the boss any more - that's always something I've found awkward"
You've helped amass an amazing team at Eurogamer, aren't you going to miss them? I'm hoping we're going to stay in touch! Seriously though, I work with my friends, so I will enjoy not being the boss any more - that's always something I've found awkward, although everyone's very good about it and amazingly loyal. Now we can just play Destiny and Hearthstone or whatever and hang out like regular people. I will miss working with them though, especially during intense periods like E3 or Q4 when everyone's running on adrenaline and doing their best work. According to Eurogamer.net you've reviewed 847(!) games, what do you feel your legacy will be as a games critic? I honestly don't know, but I hope I've written a few reviews over the years that people have enjoyed and still remember. I also hope people know I always said what made sense to me at the time, whether or not it made sense to them. I think the best advice I can give to any aspiring critic is just to be honest about how something makes you feel and then try to get to the bottom of why. What is your favourite Nintendo character, series or franchise? One Mario Kart to rule them all? This is a boring answer, but I think it's probably Mario Kart. 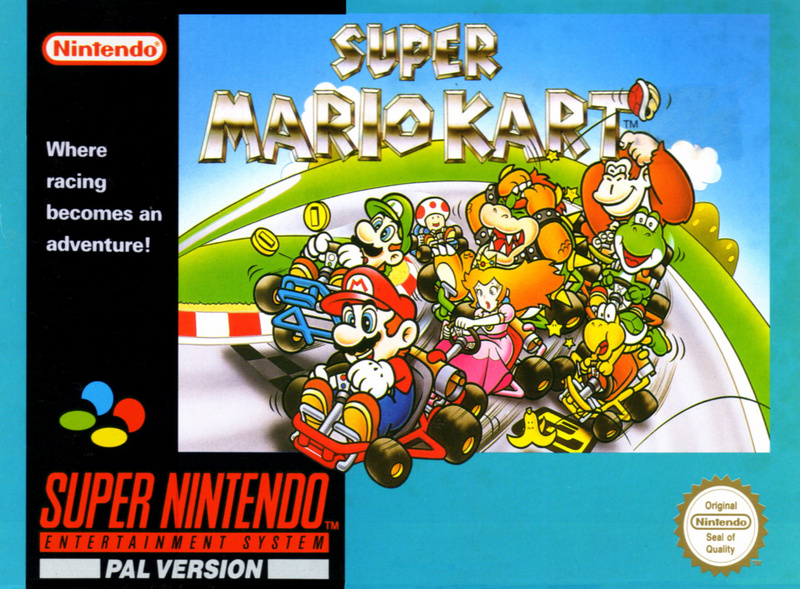 Super Mario Kart was one of my first Nintendo games and I played it obsessively. I would come home from school and try to do the 50cc Mushroom Cup perfectly - I always tried to lap the entire field on Bowser Castle, although I can't remember if it was possible or if the best I ever did was all but one or something like that. I also spent an astonishing amount of time playing the handheld Mario Kart games - I really wish I still had games like Super Circuit, but the carts have long since vanished. I don't think I've ever played a Mario Kart game I didn't immediately love. If you care to remember, what are some of the worst games you've had to review? Let's see if I can remember a few. I recall Turning Point: Fall of Liberty was pretty harrowing. Spark Unlimited had made two games at once - that and something called Legendary: The Box - and I think we gave them a combined review score of 5/20. Then there was Shellshock 2, which the publisher just shouldn't have released. Oh god, and Duke Nukem Forever. I once got into an argument with Randy Pitchford about that at a preview event - he said I was being disingenuous for describing the graphics as 10 years out of date. I was being kind. The game that shipped was just kind of sad - full of half-finished ideas and outdated attitudes. Aliens: Colonial Marines was pretty bad too, although I will always have a soft spot for the dancing Day-Glo aliens in the sewer level. Over the years, what has frustrated you about Nintendo and their decisions? Oh, this and that, but nothing too terrible. I'm sure I've berated them for all sorts of things - release date disparities, lack of third party support, etc - but when I look back at the big picture they are by far and away the most consistent and imaginative game maker I've covered. They are pretty much the only company whose older products I still collect - I have a bunch of pristine SNES RPGs and my GameCube with the US/Japan switch is the only retro console I still have plugged in. I worry about them a little at the moment because I feel as though their habit of treading the same ground again and again is catching up with them in places. I reviewed Donkey Kong Country: Tropical Freeze, for instance, and that is a game that is technically superior to its predecessor but still feels less essential. I hope that sort of thing remains the exception rather than becoming the rule. What is your single favourite Nintendo game? 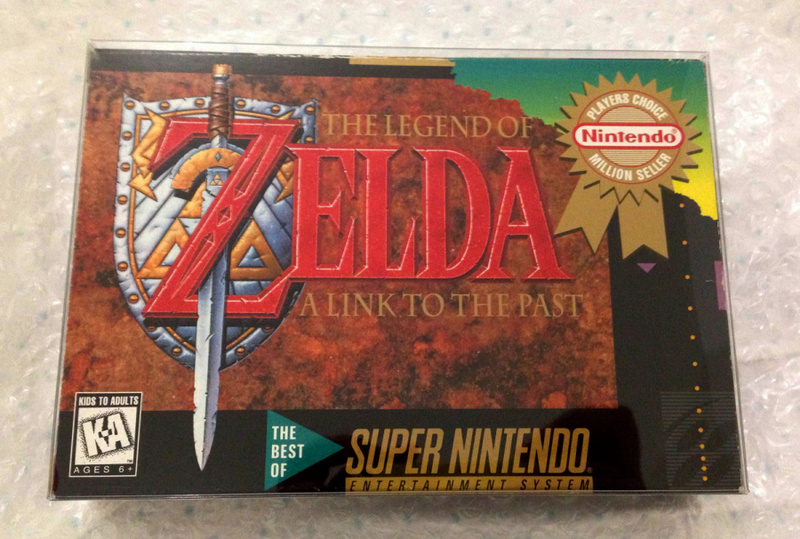 I haven't played it for years, but it might be Zelda 3 [A Link To The Past]. That was my first Zelda game and it's still my favourite. The art style, the music, the dungeon design, overworld and characterisation were all perfect for me. To this day, I measure the beauty and elegance of games in that genre against Zelda 3 in my head and generally find them wanting. With 15 years under your belt, you must of built up a decent collection of Nintendo games and merchandise? All my childhood stuff was lost when I moved out of home, sadly, but I've rebuilt a fair collection since then. 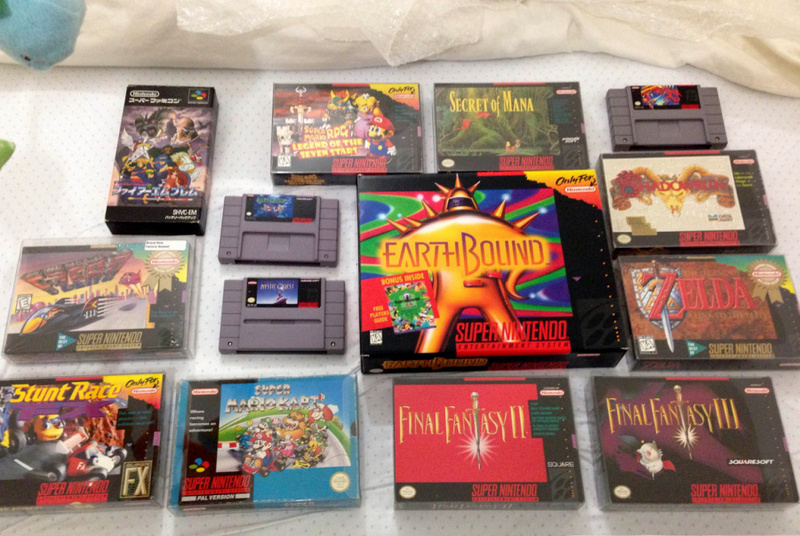 It was particularly important to me to have Super Nintendo stuff, for sentimental reasons, so I have a modified 50/60Hz SNES and pristine, boxed copies of Final Fantasy 2 and 3, Secret of Mana, Zelda 3 and Earthbound, plus a few others. I joke that those are the retirement fund, but I don't know if I'll ever want to sell them. I'm fortunate that most of the things I really treasure are also on the rare side, like Metal Gear Solid: The Twin Snakes, so my bookcase of games is pretty impressive. I have two GameCubes, an N64 and a Wii U, obviously. I saw a Game Boy Micro and an old GBA SP kicking around in a box when I was looking for a cable the other day. Nintendo has become less prominent in my day to day life as I've grown older, but you'd struggle to open a box in my house that didn't have something Nintendo-related in it. They were always more than just a games company. What do you love most about video games? I think it probably changes with the seasons, but three things spring to mind. 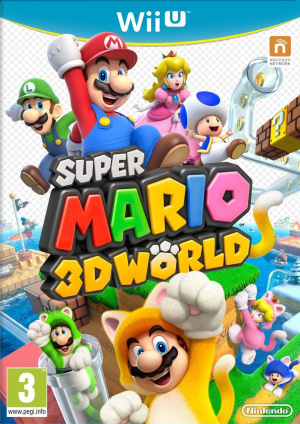 One is that sense of wonder and delight you get from the most original and imaginative games - that unique feeling when you experience Katamari Damacy, Fez or Super Mario 3D World for the first time. Another is really strong fundamental actions that remain fun for many hours, like Mario Kart's power slide or the jump-shoot-grenade loop in Halo. Wonder and mechanical elegance are pretty common to Nintendo games, I think, or should be. The third thing, which has become more important to me as I've grown older and my neuroses and OCD have intensified, is systemic depth. Loot tables, tech trees, the interplay of different gameplay systems in the world, and dense back-story, ideally described through places and experiences rather than dialogue. The games I've played most this year have been Dark Souls 2 and Destiny, which have all the things I've just mentioned. Then again, I hope that if someone asks me this question in another 10 years then I'll think of a bunch of different things. Perhaps that's the answer, then - that games have always been there for me, whatever I've been into, because versatility is their greatest quality. If you could change anything about the games industry today, what it be? "I wish everyone was less cynical about everything"
This isn't specific to games, really, but I wish everyone was less cynical about everything. I feel as though as the internet has evolved from lots of little communities into one big one the toxicity level has escalated to the point that nothing is really taken at face value any more. It's reached the stage that I can't even be bothered to say that I like things in public that often any more because I know there's always someone waiting to shoot positivity down. This is actually one of the reasons I like Nintendo and this website, by the way - because of the unique way Nintendo is run, it still inspires a tightknit community. What makes Nintendo particularly special to you? Nintendo's philosophy and patience are very special. In 15 years covering games I've watched all sorts of different individuals and organisations wrestle with how to balance art and business in a way that benefits the most people at once, but almost everyone screws it up badly at some point, usually because the needle swings too much towards business. Nintendo certainly makes mistakes from time to time, but they always seem to look after their customers' interests first and foremost, even when things get really tough. 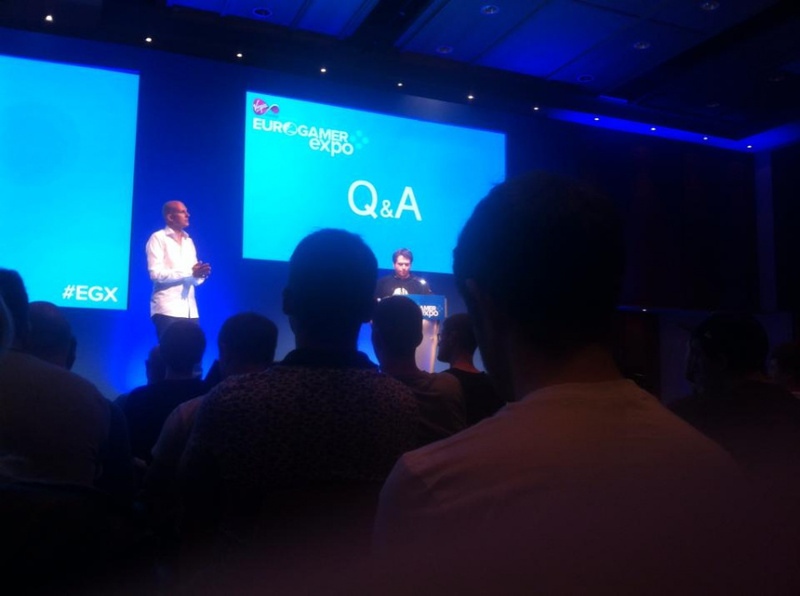 How has the games industry changed in the 15 years you've been at Eurogamer? So many things have changed and so many have stayed the same. The technology has moved on an incredible amount in every sense - the game code, the visuals, the way games are packaged and sold - although I suppose the way we control games hasn't. And we have all sorts of new ideas for games, but the most popular ones aren't all that different to the things I was playing when I started. "I guess the biggest change is that games are no longer an outsider hobby - they are truly mainstream." I guess the biggest change is that games are no longer an outsider hobby - they are truly mainstream. Whenever games came under fire in the early 2000s, we used to talk about how the next generation of policy makers would have grown up playing games and that would render a lot of that stuff moot, and I've lived to see that, which is nice. You've recently become a father, are you looking forward to playing Nintendo games new and old with your son? Oh definitely. I imagine he will develop his own tastes, but the idea of playing Mario Kart with him or something like that makes me quite emotional! One of the reasons I collect old games I loved when I was younger is that I want to show them off to him in years to come and explain what made them so special. "I've formed lifelong friendships, seen the world and in many ways I've lived my childhood dream." What is your favourite gaming platform of all time? Easy: the Super Nintendo. It had amazing games, but the fact it was the one I grew up with makes it impossible to pick anything else. What's been the biggest highlight of your career so far? It's really hard to think of a single moment that transcends everything else, but I have had a very happy time at Eurogamer - I've formed lifelong friendships, seen the world and in many ways I've lived my childhood dream. Oh, and thank you for the "so far"! Do you have any advice for the countless number of readers that want to get into games writing? Yep, but it's tough! One side effect of games achieving mainstream acceptance is that there are a lot more people who want to write about them. There are definitely things you can do to improve your chances of getting a job, but they aren't too different to any other profession - make sure you master the key skills, in this case writing and journalism, and then pay close attention to what potential employers want. Try to get to know people on the inside, too - networking is as vital in this as in any industry. Alternatively though, you can make your own job! That's essentially what we did when internet publishing was still a pipe dream back in the late 90s and it's what YouTubers have done in recent years. Whatever you do, though, I think the key to a rich and creatively fulfilling working life is to be honest in whatever you do. Be yourself, rather than what you think other people want or expect. That probably sounds like it contradicts the first part of my answer, but if you get the balance right then it won't. You've watched them for 15 years now, what do you think the future holds for Nintendo? If the last 15 years are anything to go by, they will continue to put the concept of joy through play at the heart of everything they do. I'm always excited to see where that takes them. And I suspect they will still struggle with third parties! 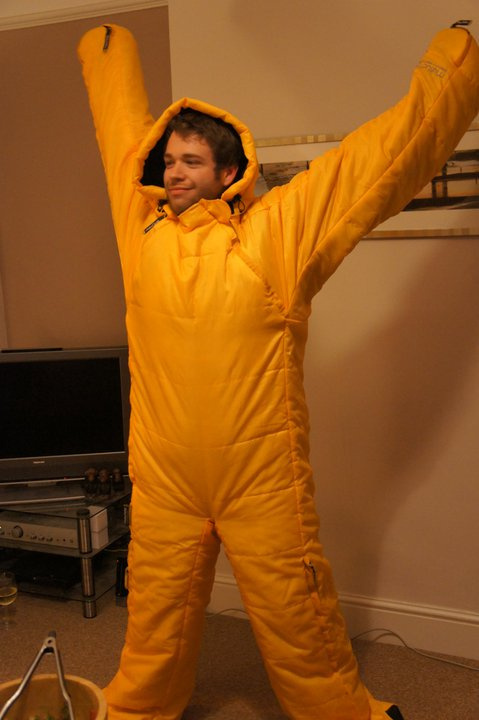 So, what's next for Tom Bramwell and how can our readers follow you? The short answer is I don't know! I am not leaving Eurogamer because I have another job lined up. I'm at a crossroads in my life and I genuinely want to have a break and see what else is out there. As much as I love games and writing about them, 15 years is a long time to spend doing roughly the same thing and I could do with a change. So I am interested in something challenging and different - hopefully I can find it. We'd like to thank Tom for taking part in our Ninterview series and wish him, and his family, all the best for the future. What are your thoughts on Tom's gaming history and time at Eurogamer.net? Great interview. I hadn't heard of Tom Bramwell but, now I have. Good read! I don't go to Eurogamer often so I don't know him. "there's always someone waiting to shoot positivity down. " "With 15 years under your belt, you must of built up a decent collection of Nintendo games and merchandise?" For shame! Aside from that howler, it was a reasonable interview. I've never been a fan of Eurogamer, but I was interested to read some of Bramwell's responses, particularly: "Nintendo has become less prominent in my day to day life as I've grown older." I'm pushing fifty and quite the opposite holds true for me. Great interview. I didn't know the guy, but now I'll be automatically sympathetic whenever I read his name. Lost all interest in reading EG; got tired of reading political correct editoral, which blurred the line betwen op-ed and agenda-pushing. And tired of shame-pieces about developers and gamers who enjoy games whose art don't conform to their ideals. Never liked EGs reviews or articles myself. I sometimes read Eurogamer reviews, but a lot less lately. I wish Tom good luck. It takes guts to just quit your job like that but I can relate to him being tired of doing the same and trying something new. Sounds like a pretty charming guy, good luck to him! @FritzFrapp i think that "growing older" is just incidental, not the reason. the reason is probably nintendo's decreasing relevance, and the existence of more devices to play games on as he's got older. back in the day it was just NES, master system, ZX spectrum or C64; then SNES, megadrive, amiga, ST or PC; since then we've got playstations, xboxes and smartphones, all vying for our gaming time. it's only natural that nintendo gets less time devoted to it nowadays than it used to. Nice. Except for Mario Kart. It's by far not the best, otherwise nice. Good Luck out there Tom. Last thing I'll say, just please don't call ALTTP Zelda 3 pls. I love Eurogamer. Particularly over the last generation they've become the main website I go to for reviews, and the sunday retrospective articles are always a great read. I don't understand this at all. I swear DK gets the most disrespect from any series I've seen. I don't know how this guy feels about the new 2D Mario games, but if I had a choice between the two it would be DKC. Why in the **** did he single out DK? Sure, DKCTF added very little, but I could say the same for MK8, SSB for Wii U, New SMB series, and DEFINITELY Rayman Legends. All I heard was ''it should have been Metroid'' since it is the only reason why you would hate on this masterpiece. @yuwarite there's some of that cynicism Bramwell was talking about. I don't get gamers. They say they want games to be considered an art form, and part of being an art form is being able to critique it. But anytime someone criticizes well liked games gamers throw a hissy fit and start dumb movements like gamer gate. "Must of," rather than "must have"? I feel ill.
@Csaw Critique and op ed is fine, but when there's an abundance of the same critique, and when that critique borders on offending the gamers and the artists, it becomes less op ed and more like an agenda is trying to be pushed. For instance, Sarkeesian wants tropes against women to be pushed in to schools as a teaching tool, the simple critique here has crossed the line to an agenda that aims to teach children to condemn video games whose art don't conform to a feminists ideals. It's ridiculous, and if GamerGate needed to be established to help draw light on these issues, then it has succeeded. @yuwarite yes because heaven forbid they try to get rid of some of the common stereotypes we see of women in games. And heaven forbid we get more representation of minority characters in games. Even Nintendo realizes how ridiculous it is, hence why a lot of their newer games are relying less on the kidnapped princess schtick and are actually releasing games with female protagonists (like Splatoon and Toadette in Captain Toad). As for gamergate the only thing that has brought to light is how downright vile and cruel the gaming community can be. It's one of the few movements that makes me embarrassed to associate myself as a gamer. If everyone from conservative fox news to liberal Colbert is calling a hate group, then guess what, its a hate group. @Csaw Congrats, you've been completely brainwashed by that objectively proven borderline-misandrist, Anita Sarkeesian, as well as what ever mainstream media tells you. I see no reason to debate this further, you're a lost cause. @yuwarite you're right about one thing, this is clearly a lost cause. I disagree with you. You think that any criticism toward gaming is a personal attack and you and get all defensive about it. You think that people sending threats towards someone just because they disagree with them is okay. The way you say "mainstream media" is also idiotic. There's no such thing as "mainstream media" that's just a fallacy that people invented whenever the media reports on something that a group of people disagree with. I don't agree with a majority of the things reported on fox news, and they are the most viewed news station in the US. Does that make them the "mainstream media." Open your eyes and try to look at these sorts of debates from a different point of view. @Csaw "You think that people sending threats towards someone just because they disagree with them is okay." Point to the line where I said that? You've resorted to blatantly lying and putting extreme words in my mouth, so you lose this debate. You haven't done enough research on both sides of the matter, so no use continuing this with someone so naive.